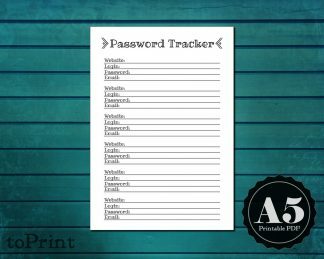 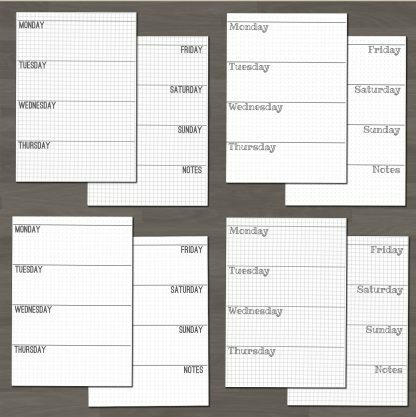 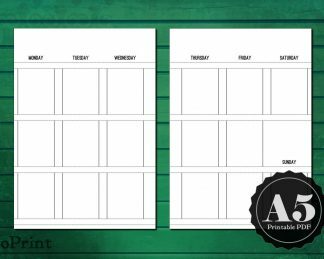 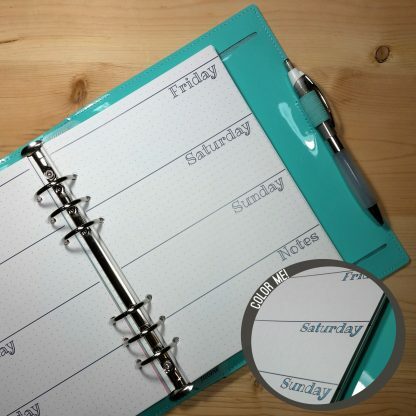 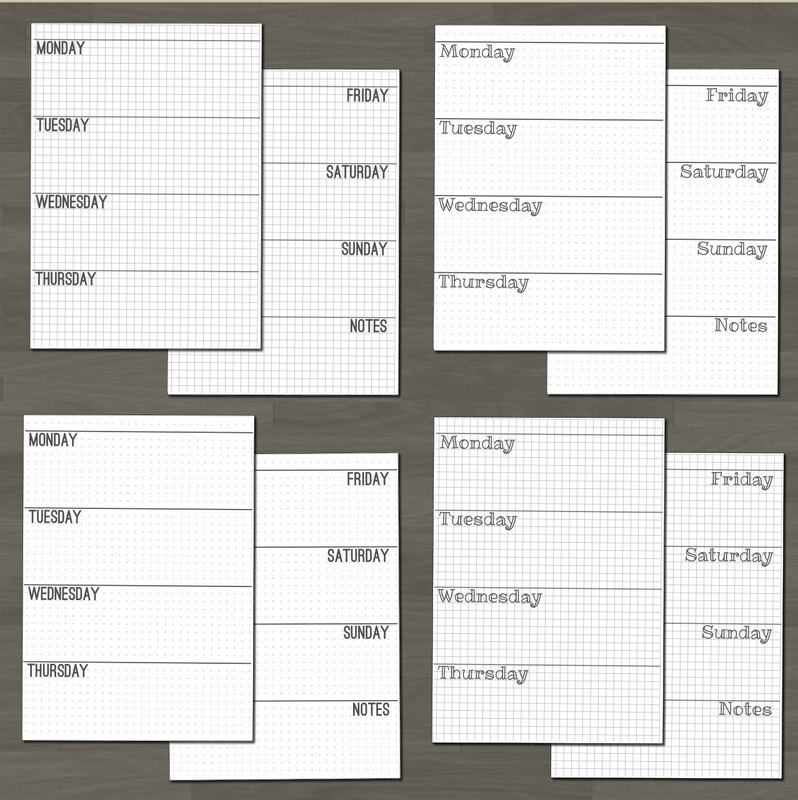 These Weekly Grid Planner Spreads are A5 sized sheets which have been printed, cut, and hole punched to fit in many common A5 6-ring binders. 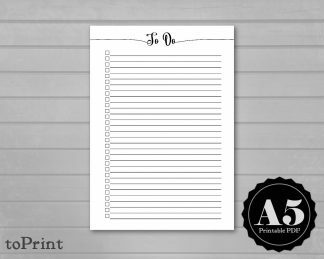 Choose from two font options, a sans serif all-caps font or a handwritten font (perfect for coloring in!). 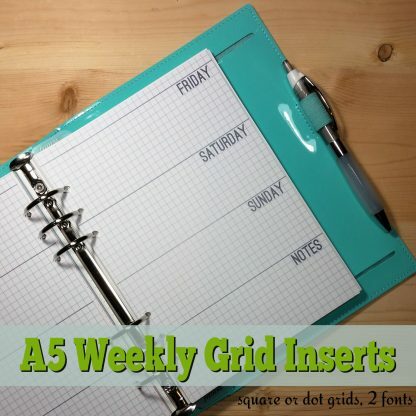 Each font option is available in either 5mm square grid or in 5mm dot grid. 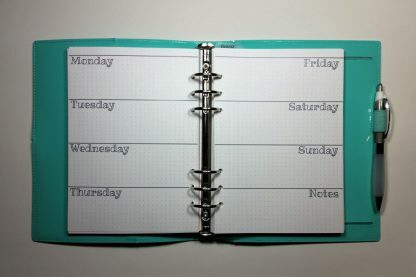 The inserts are undated. 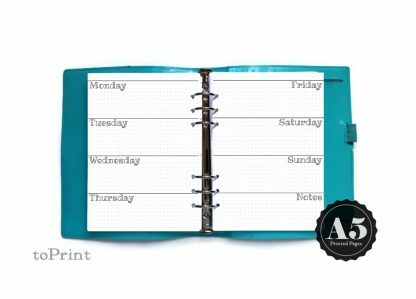 Each page contains a header area which works great for month/year or "week of" notation.